The National Museum is the most popular Bangkok Museum. It houses the largest collection of ancient artifacts, art, and antiques from all over Thailand. The main exhibition features time periods from prehistoric through to the Rattanakosin era. The ancient sculptures and the royal funeral chariots are particularly impressive. See & Read more …. 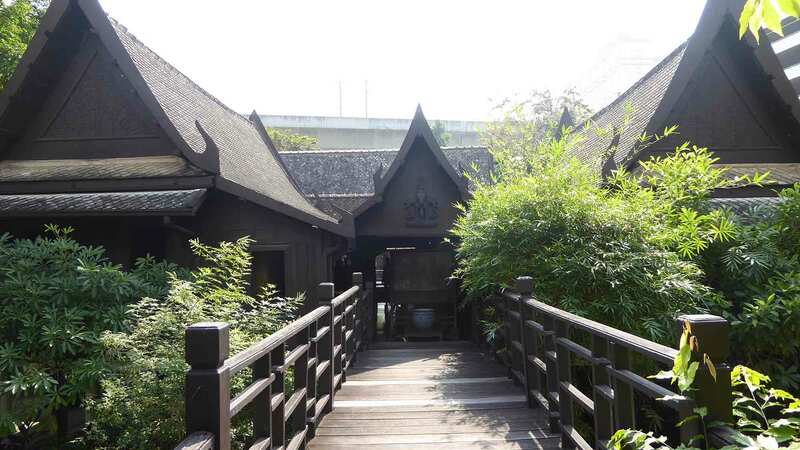 Ancient Siam is an open-air museum set in beautifully landscaped grounds on the outskirts of Bangkok. 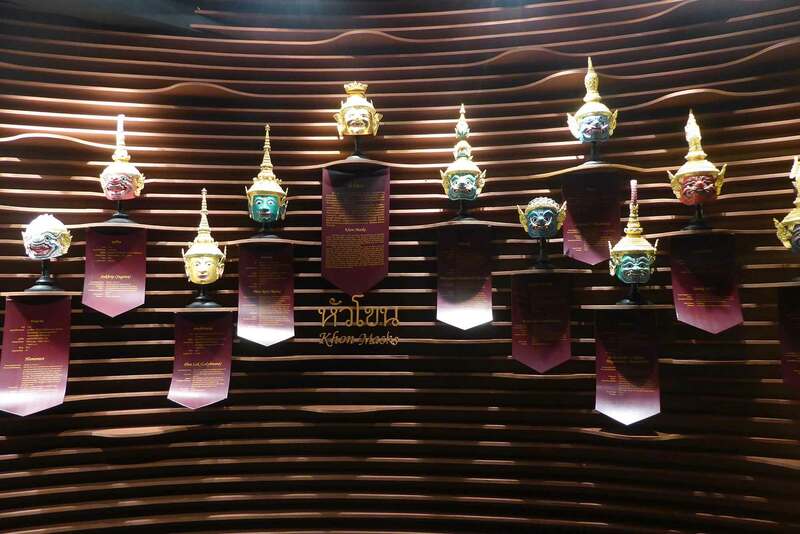 It features over 120 replicas of Thailand’s most famous historical attractions. It’s one of the best places in Thailand to learn about the countries rich history, culture, and architecture. You will need to spend at least a half day to explore the site fully. This is best done on a self-guided bicycle or golf cart tour. Highly recommended. 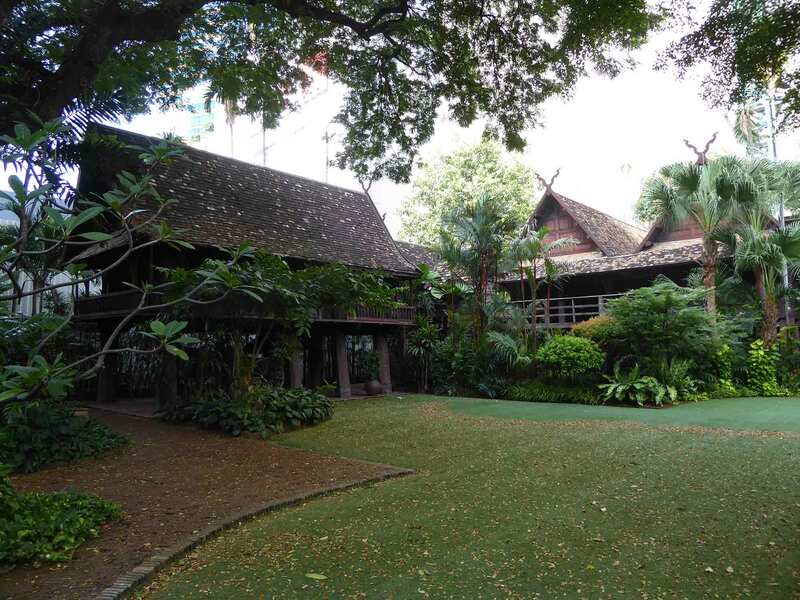 The Jim Thompson House is a very old traditional Thai teakwood house that has been wonderfully preserved. The house is a museum chronicling the life of its owner Jim Thompson. The house also exhibits the history of the Thai silk industry that he helped promote. 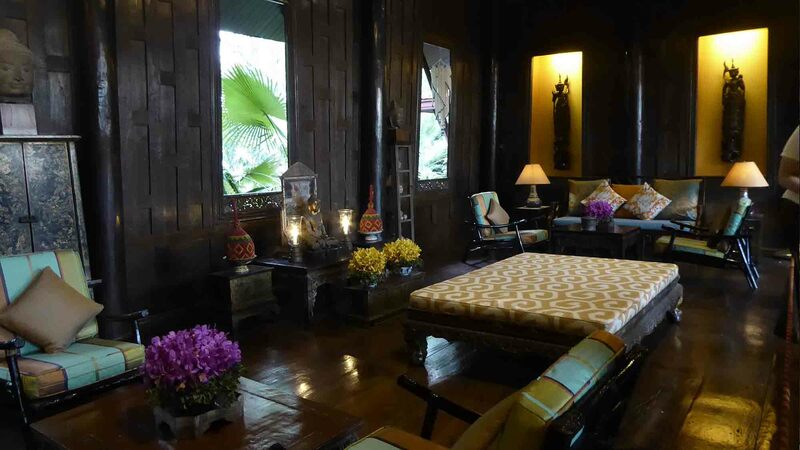 It’s furnished with Thompson’s impressive collection of Thai antiques and art in a beautiful tropical garden. Suan Pakkad Palace Museum is a complex of eight traditional Thai-style houses. The houses were once the residence of Prince Chumbhot of Nagara Svarga. The Prince was one of Thailand’s leading art collectors. The complex houses an extensive collection of Asian art and antiques. 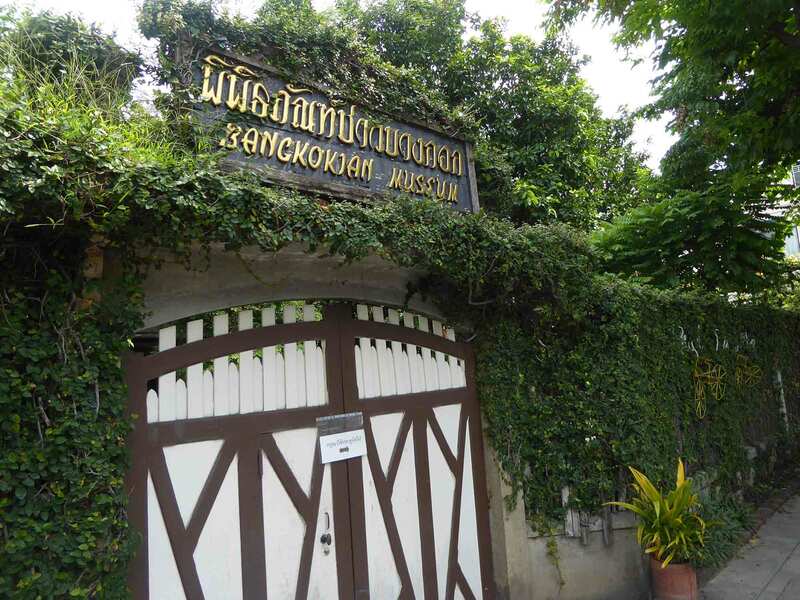 The Bangkokian Museum is in several old wooden houses in a quiet, shady garden setting. 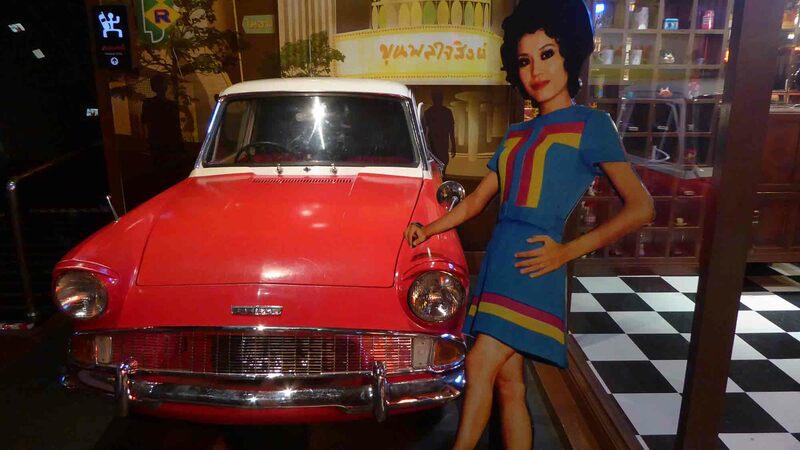 The museum showcases the lifestyle of middle-class people in pre-and post-WWII Bangkok. The houses have been left as they originally were. Inside you will find an interesting exhibition of house contents from that period. 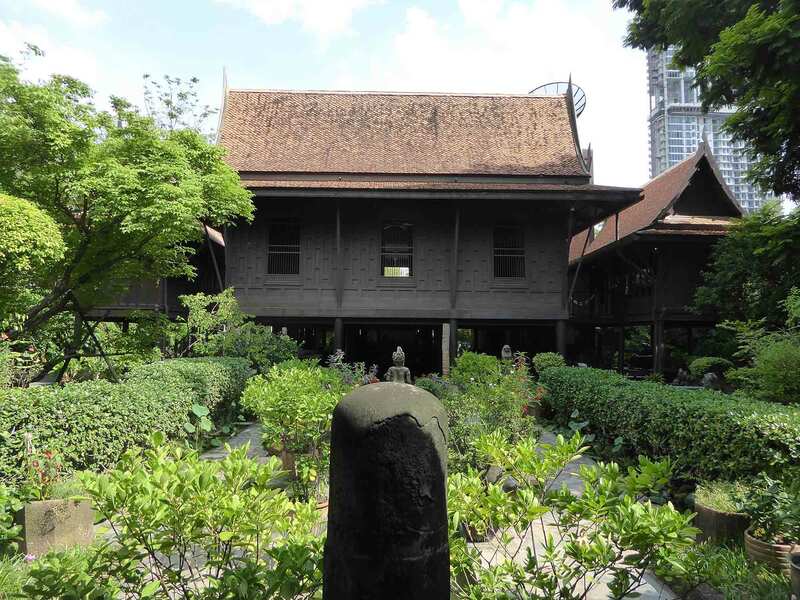 The Kamthieng House is in the grounds of the Siam Society at Sukhumvit Soi 21 (Asoke). The house, built in 1848 is one of only a few surviving northern Lanna style 19th-century teakwood houses. It was originally in Chiang Mai on the banks of the ping river before being relocated to Bangkok. The house and grounds have now been turned into a museum showing life in a traditional 19th century Lanna house. M.R. Kukrit Pramoj was the prime minister of Thailand in 1974-75. He was born into a family of royal descent. He had a long distinguished career in finance, lecturing, writing, politics, and the military. His residence is now a museum. It is preserved exactly as it was when he was alive. The exhibits include his personal effects and collection of art and antiques. The Royal Barge Museum is on on the Thonburi side of the Chao Phraya river near the Pinklao bridge. The Royal Barges are in a large Khlong side boat shed. The museum, established in 1971 is now a home for the barges since they were restored. 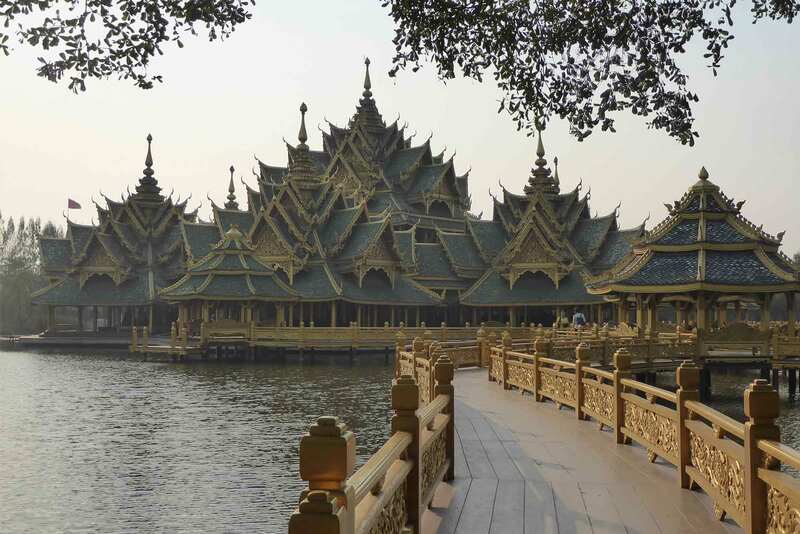 There are 8 barges, each carved from huge pieces of teak. They are still used for important ceremonies of state. The Rattanakosin Exhibition Hall houses a permanent exhibition about Rattanakosin, the old town area of the city. It details history, art, and culture, from the establishment of Bangkok in 1782 up to the present day. Museum Siam opened 2008 in a European style 19th century Italian designed building. The Museum charts the history of Thailand and its people. It explains how their culture and traditions have evolved over time. The museum presents its subject in a contemporary high-tech interactive style using a range of media. The museum tells the story of King Prajadhipok or King Rama VII from birth to death. King Prajadhipok was Thailand’s first constitutional monarch. The museum displays his personal belongings, photographs and highlights his achievements as King. The Hall of Sculpture is in the Fine Arts Department building next to Silpakorn University opposite Sanam Luang. 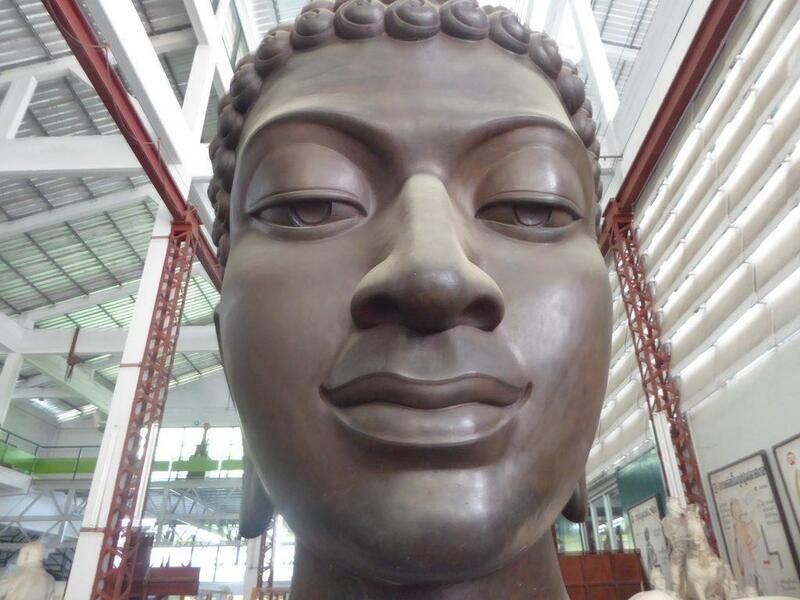 The hall contains sculptures by famous national Thai artists. 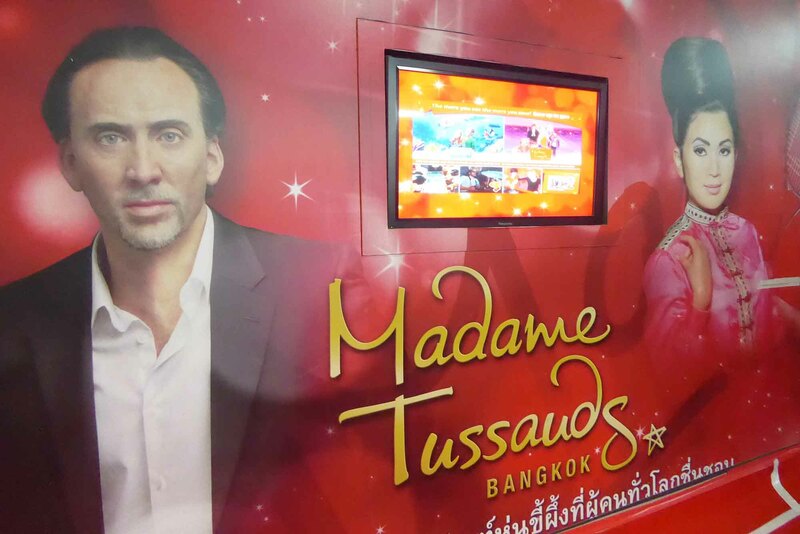 The world-famous Madame Tussaud’s Bangkok branch is in Siam Discovery Mall. You will find wax models of world-famous stars of Music, Movies, Art, Science, TV, and Sport. Also a host of World Leaders, A-list celebrities, and famous figures from History. A very small museum dedicated to the Thai royal white elephant, a holy animal in Thailand. It is on the site of the King’s royal white elephant stables. The museum tells the history of the rare royal elephants and describes the criteria used to select them. Rules: No shoes inside the museum. The Erawan Museum is in Samut Prakarn province just outside Bangkok in an attractive garden setting. 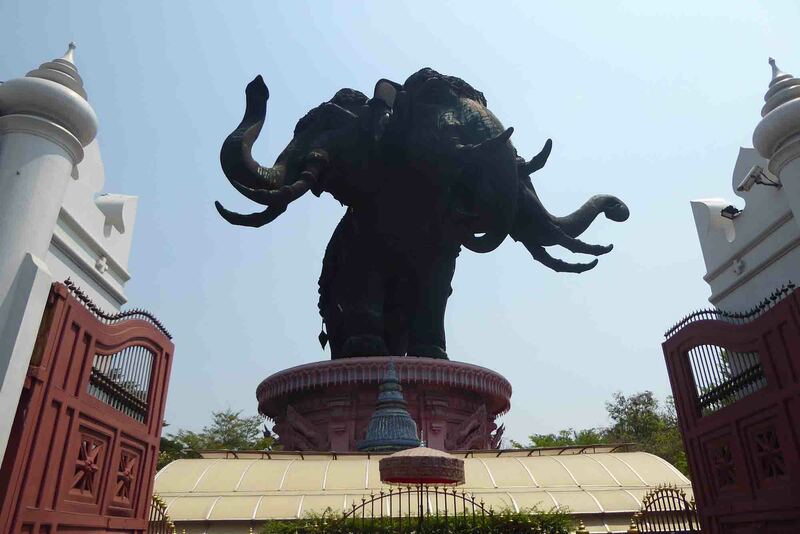 It is famous for the giant 29-meter high three-headed elephant statue. Inside is a 3-story museum representing the underworld, earth, and heaven. 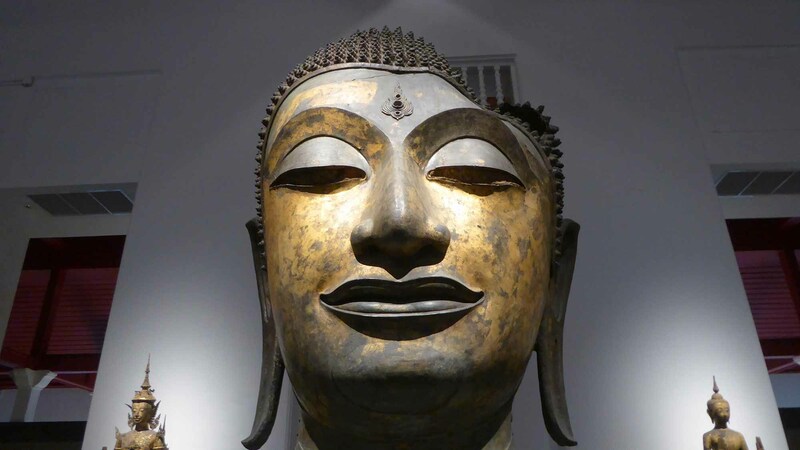 The museum features rare antiquities and a collection of ancient religious objects. The Erawan Museum is best visited as a joint visit to Ancient Siam which is nearby. Location: 99/9 Moo 1, Bangmuangmai, Samut Prakarn. Opening Hours: 09.00 – 18.00 daily. Admission: Adult 400 baht, Children 200 baht. Rates are lower if booked online at least 24 hours in advance. Online promotions often include joint admission to Ancient Siam at a reduced price. You can book online here. Take the BTS to Bearing station. Take a taxi to the Erawan Museum. Approximate taxi fare will be 60 baht. Departs from BTS Bearing station at 11.00am daily. It stops at the Erawan Museum on the way to Ancient Siam. The bus can be found in the parking lot area at Centerpoint Entertainment. Exit 1 from the BTS station on Sukhumvit 105. No. 25, 102, 142, 365, 507, 508, 511, 536. 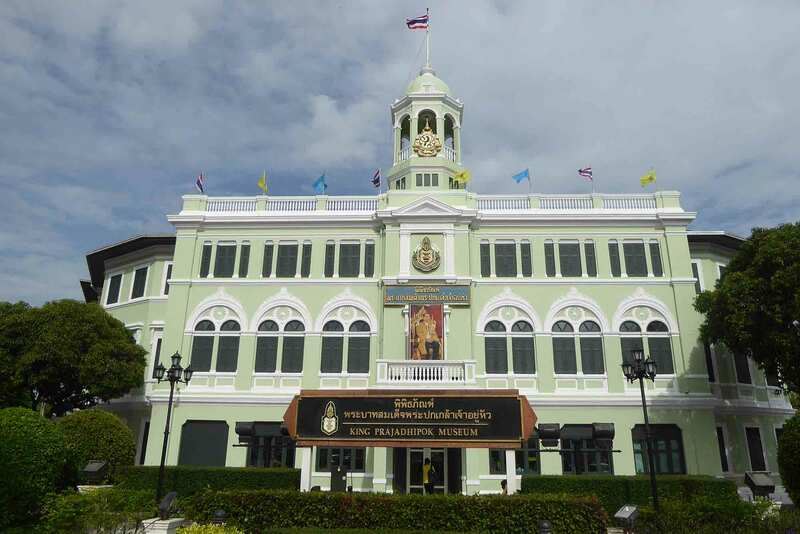 The Siriraj Museum is in the grounds of Siriraj Hospital on the Thonburi side of the Chao Phraya River. There are three different museums in the complex. Firstly, the new Siriraj Bimuksthan Museum. It features the history of the local Bangkok Noi and Wang Lang community. 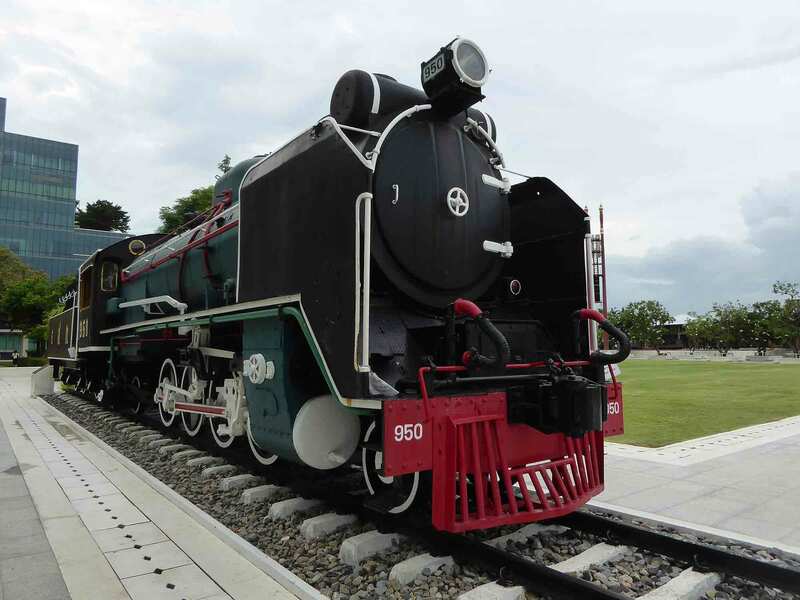 Secondly, the construction of Thailand’s southern railway line, and the old Thonburi railway station. Lastly the history of the hospital and traditional Thai medicine. A restored old steam railway engine sits outside the museum entrance. 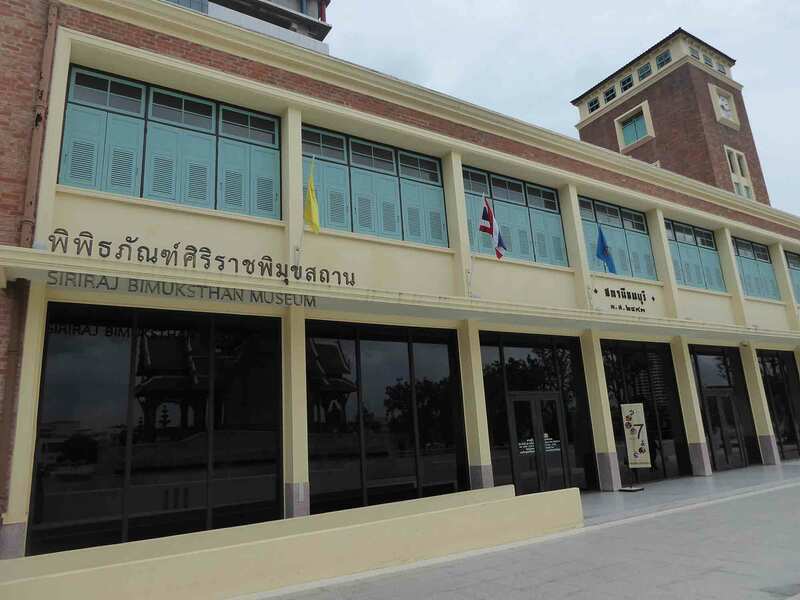 The Siriraj Medical museum consists of six smaller museums. They focus on human anatomy, forensic medicine, and life science. Expect to see lots of preserved human organs, skeletons, and mummified bodies. Interesting exhibits on human DNA, & fingerprints. There is also an exhibition on identifying victims of the 2004 Tsunami. Location: 2 Wang Lang Road, Bangkok Noi. Opening Hours: 10.00-17.00 daily except Tuesdays. 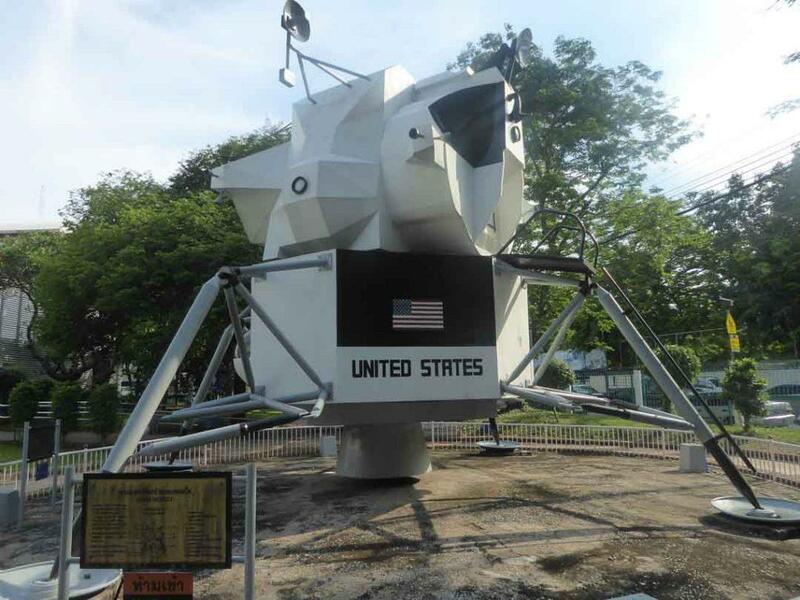 The Science Museum and Planetarium is on Sukhumvit Road a short walk from BTS Ekkamai station. The aim of the museum is to educate children about science and astronomy though it is also interesting for adults. The Museum features many interesting, informative exhibits on physics, evolution, robotics, space, energy and the sea. Stanley Miniventure is a 1.87 scale miniature town. It features scale models of some of the world’s most famous places. It’s the largest of its kind in Asia and the only one in Thailand. The town is in the Japanese themed Gateway Mall and spread over 1000 square meters. The exhibits include models of the Eiffel Tower, Big Ben, the Statue of Liberty, and many more. There is also a section devoted to the city of Bangkok which includes its most famous attractions and landmarks. There are eleven zones. Very Thai, Central Business District, Airport, Port, Residential & Historical Places. Also, Beach, Cave, Desert, Transportation & Entertainment, Resource Town, and Farm.